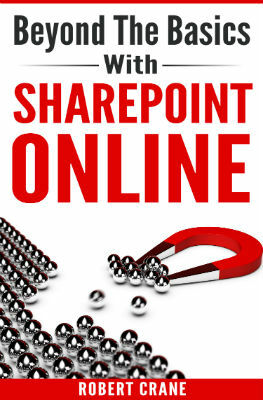 This book is designed to help you take your knowledge to the next level with SharePoint Online. Once you have mastered the basics it is time to put document approvals, contents types, columns and more to work for you. This book will show you how to do all this plus more. It even covers how to get started using InfoPath and SharePoint Designer to really start customising your environment. SharePoint is an extremely powerful tool for solving business problems so knowing how to use it effectively is going to help you solve these problems faster. If you want the knowledge to do just that and you have already mastered the basics of SharePoint Online, then this is book for you.